Preparation for First Eucharist is the joint responsibility of the parish and the parents. Children are normally prepared for First Eucharist during second grade either through religion classes at St. John the Baptist School or through the parish religious education program; however, accommodations for older children are often made. First Communion Masses usually occur at the end of April. Please call (812) 490-1000 if you have questions. St. John the Baptist has an active hospital and nursing home ministry, the Camillus Ministry, that provides prayerful visitation and opportunities for reception of the Eucharist. This ministry also reaches out to parishioners who are homebound or shut in. Please call the parish office to arrange to receive Communion in the home. Children receive the Sacrament of Reconciliation in the second grade. Two parent meetings accompany the preparation time. Please call Marty Horning at (812) 490-1000 if you have questions. Reconciliation services are scheduled in the fall, during Advent and Lent for all parishioners, including Religious Education and St. John School students. Regular scheduled time for Reconciliation is from 4:00-4:30 P.M. on Saturday evening. If you have a special need, please call the parish office. The Sacrament of Confirmation is received in the 10th grade, although accommodations have been made depending on circumstances. A required two-year formation program begins in the fall of Freshman year. Freshmen who attend Catholic school receive faith development through their religion course work at school, but must enroll in the parish's Confirmation program and fulfill retreat and service hour obligations for the parish. Public school children must be enrolled in the parish religious education program and take Being Christian and Living the Sacramental Life. This class meets on Sundays - about once a month - during the school year. Both Catholic and public school sophomores must be enrolled into the parishes Dynamic Catholic curriculum, and fulfill retreat and service hour obligations. The Dynamic Catholic classes meet on Sundays - about once a month - during the school year. 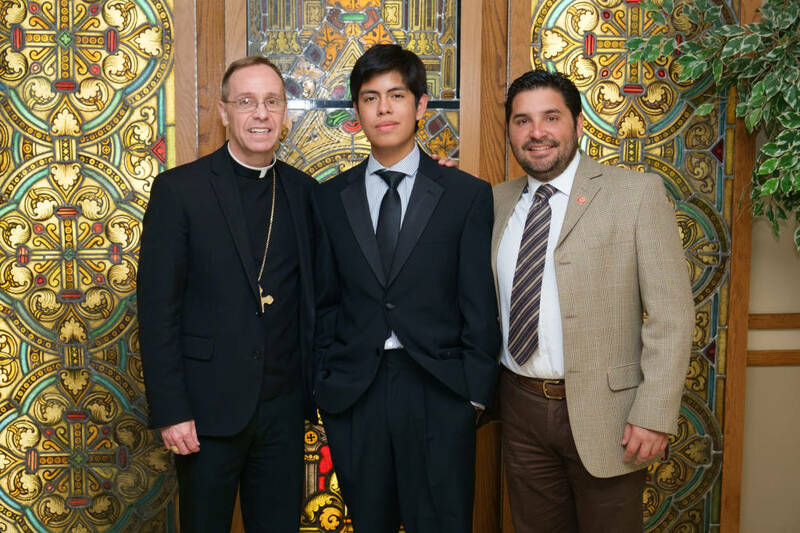 Confirmation by the Bishop for 2019 will be on May 4 at 5:00 p.m. The Confirmation program journeys our young people into discipleship as young Christians. St. John Parish has the responsibility of ensuring that marriages recognized and blessed by the Catholic Church will be lived in the faith. There must be evidence of personal active faith to serve as a foundation of such a commitment. "Couples desiring to be married in the community of the church are to notify the priest or deacon... at least six months prior to the anticipated time of their wedding." (Diocesan Marriage Policy, effective January 1, 1984). Definite plans for a wedding date should not be decided until such contact has been made. Marriage preparation involves assessment of the couple’s communication and compatibility, assessment of their faith commitment, participation in Sponsor Couple Program, and wedding ceremony plans with the presiding priest. The sacrament of anointing, in which Christ is encountered as healer, is administered upon request for those seriously ill, facing major surgery, elderly or those at the point of death. In addition, a communal reception of the Sacrament of the Sick is celebrated in church twice a year for those who wish to avail themselves of the grace of the sacrament. Priesthood. The ministerial priesthood is conferred by the Sacrament of Holy Orders. The normal period of preparation is four years of college and four years of theology. Further information is available at the Vocations Office at the Catholic Center. 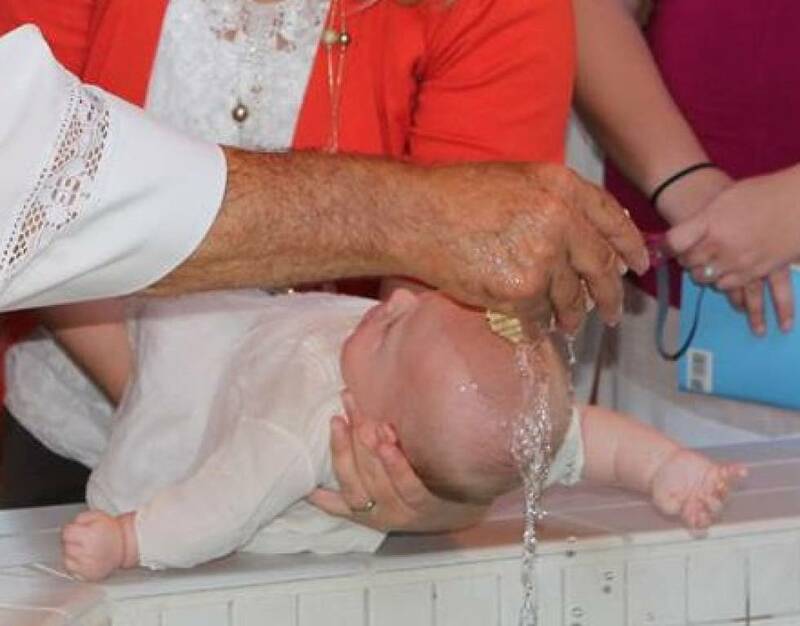 Permanent Diaconate. New candidates to the Diaconate program are not being received at this time. This ancient order, restored to the life of the Church, is open to married and single men who are at least 32 years old. Men who are ordained receive the Sacrament of Holy Orders. The term "permanent" means that a man is ordained a deacon for life, as opposed to the "transient" deacon, who is a deacon for just a short while and then becomes a priest. A permanent deacon usually has another career in order to support his family. The priorities of a deacon are: 1) family, 2) job, 3) diaconate. We are blessed to have people praying for persons in their time of sickness, special needs, etc. Everyone is welcome to call with prayer requests for you, your family or friends at (812) 490-1000. If you have a particular intention or need, simply call the parish office for more information. The intention will be passed through the network so that together petitions are brought in prayer to the Lord. Contact Parish Office, (812) 490-1000.